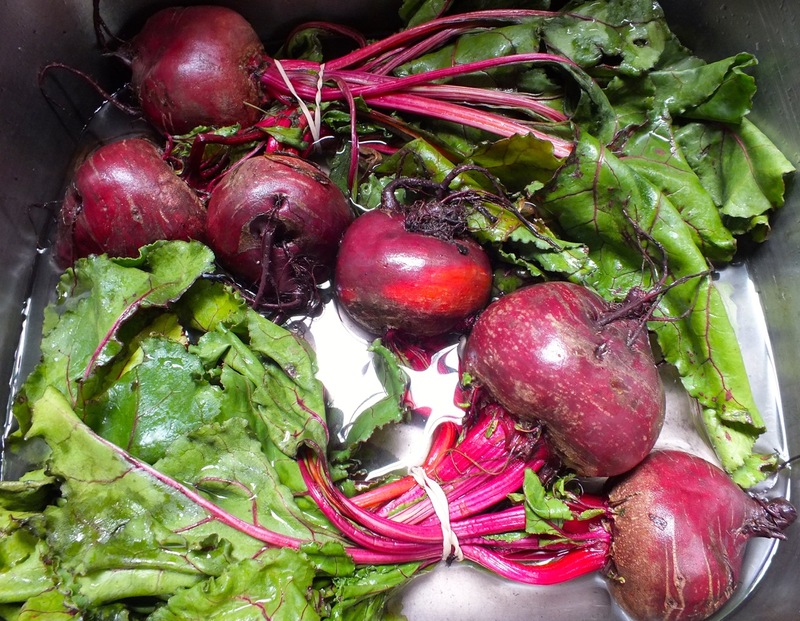 If a vegetable can be a seductress, then that vegetable is beetroot, Beta vulgaris, earthy, of course and at the same time flamboyantly glamorous. It’s a vegetable that when you allow it to be the star of the show is capable of adding either gravitas or sophistication to a meal . Some weeks ago we were moored on the Oxford canal in Jericho. Our galley supplies had run low and we needed to do a shop so that we could get moving through rural north Oxfordshire where we knew we wouldn’t come across any shops for quite a few days. Richard and I sat down to sketch out some meals and make a shopping list. It was all perfectly planned. Meals for five days, not too much and not too little. Some old favorites and some new recipes we were going to try out. I headed off to see what Jericho could offer by way of shopping opportunities. I walked past two Co-Ops. Well I didn’t actually walk past them. I went into them, walked up and down the aisles, surveyed what was on offer. Mainly pre-made sandwiches, it seemed, and a miserable fresh section. I wasn’t exactly thrilled. I couldn’t for one minute imagine why on earth there were two of these very ordinary supermarkets within blocks of each other. They would do, of course, but I decided to walk a little further to see if I could find something just a wee bit more interesting. I turned a corner heading away from the main road and towards what I thought would be town. If need be I’d walk to the Covered Market. It would be a good walk, some nice exercise. I could get a few exquisite things and then come back to one of the Co-Ops for the balance of the shopping list. It seemed to me there were a couple of coffee shops ahead of me. Mmm, maybe I should stop off and while away half an hour, have a cappuccino? Nope. If I was going to the Covered Market, I’d better get moving. I could have a coffee there. 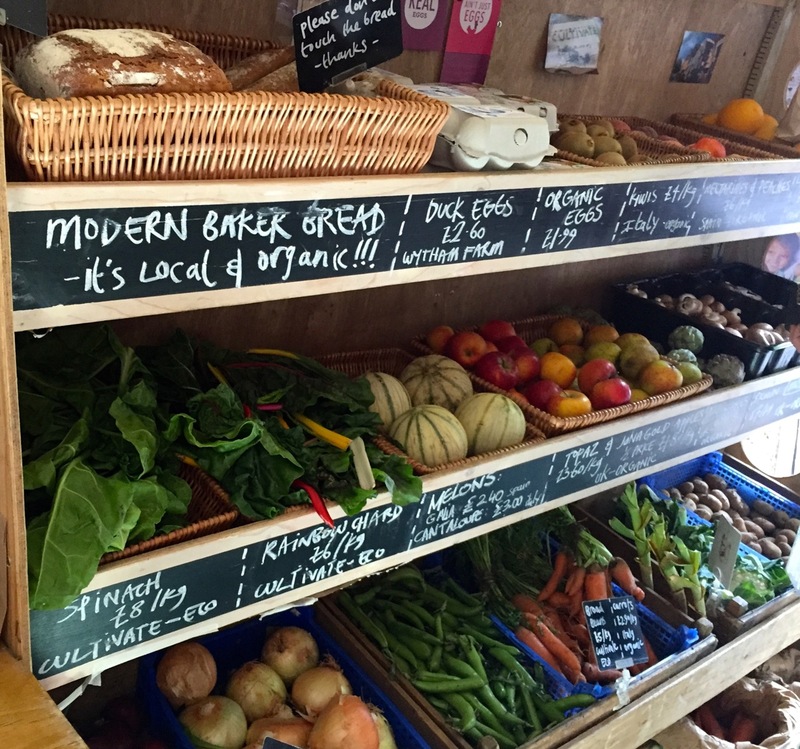 Then, right in front of me I saw a white van, doors flung open, crates of organic produce spilling onto the pavement, people milling around chatting and shopping. It was the Cultivate Veg Van in Jericho for its weekly stop. How lucky was I? I tossed the shopping list into the nearest bin and picked up a basket and threw caution to the wind. Preheat oven to 400 degrees Celcius. Toss the beetroot with the olive oil in the baking dish and roast, covered with foil, until tender. Remove from the baking dish and set aside. Add the butter, sherry vinegar, sugar salt and pepper to the baking dish and put back into the oven until the mixture is bubbling and syrupy. 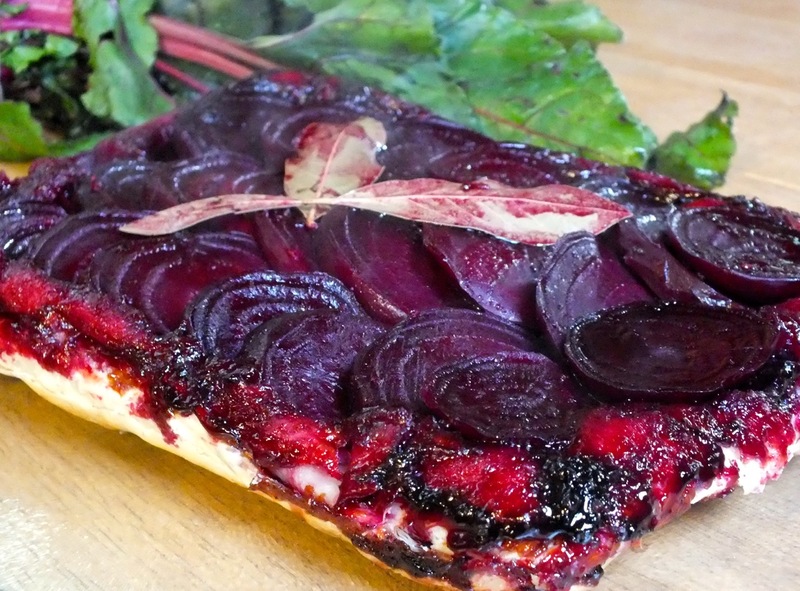 Toss the beetroot with the sherry mixture and arrange in overlapping rows in the baking dish. Top with the sheet of puff pastry, tucking in the edges all round. Bake until puffed and golden. Remove from oven, loosen the edges and flip out onto a board or platter. Mix all the ingredients (except the salmon) well together. Layer half of it in a glass dish just large enough to hold the salmon. Put the salmon on top of the beetroot mixture and cover with the remaining beetroot. Cover tightly with clingfilm and refrigerate for 24 hours. Remove the salmon from the mixture and wipe it dry with paper towels. Slice thinly. Serve with crème fraîche, lemon wedges and fried capers,with or without buckwheat blini. Heat the olive oil, add the onions and fry very gently until soft and translucent. Add the garlic, carrot, celery and bay leaves, and cook gently for about ten minutes. Add the lentils and stock and continue cooking until the lentils are soft. 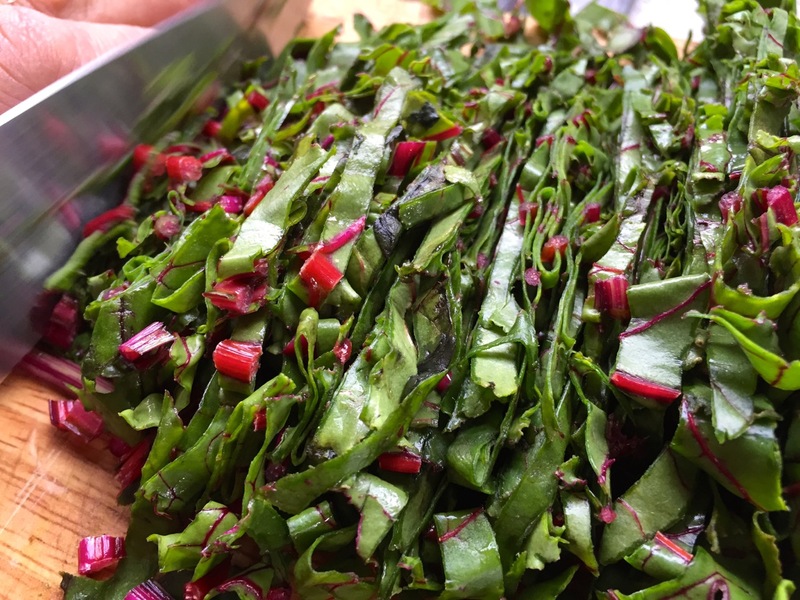 Stir in the beetroot greens and sherry vinegar. Cook for about five to ten minutes. 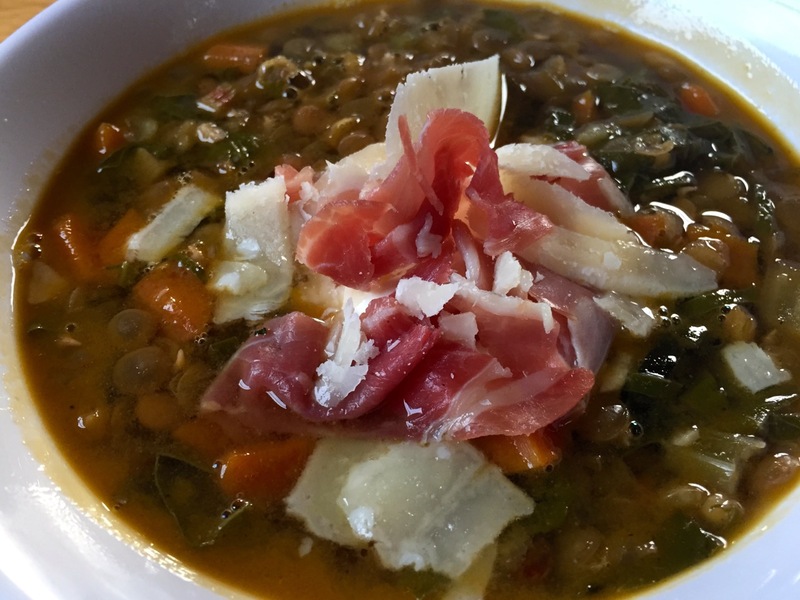 Season and serve either as is, or with a dollop of marscapone or manchego and/or strips of serrano ham. Today I was both cursing and loving rural north Oxfordshire. She gave of herself but she withheld something too. We have been travelling along the Oxford canal both marveling at its relative remoteness, and enjoying it. That remoteness though managed to thwart our plans for a productive working day. We got up bright and early, settled down at our computers but, horror of horrors, there was absolutely no connectivity. Trusty Three had failed us. There was not even one bar of connectivity, not via Three, nor via Vodafone, nor via Lebara. We have three sim cards precisely so that we have guaranteed access to the internet and, therefore, the freedom to work. Well, in this instance, we HAD to get online, we had a Skype call scheduled so we had no option but to up stakes and push on along the canal. We put our modem in the hope that that a little way along the canal the ‘NO SERVICE’ words would disappear and we would be connected again. Didn’t happen. So we carried on through a series of locks with me cursing rural north Oxfordshire in no uncertain terms. Until something caught my eye. I stopped cursing and bent over the unassuming plant that I’d spotted in the shadows next to the lock. Was it? Surely not. It couldn’t be! But it was: not one but a cluster of of blackcurrant bushes, their stems groaning with fruit. Suddenly I lost interest in the modem and was scrambling to pick as many of the blackcurrants as possible in the time it took for the lock to fill with water behind me. Thoughts of connectivity, or its lack, fled my mind. Now my focus was on cooking. 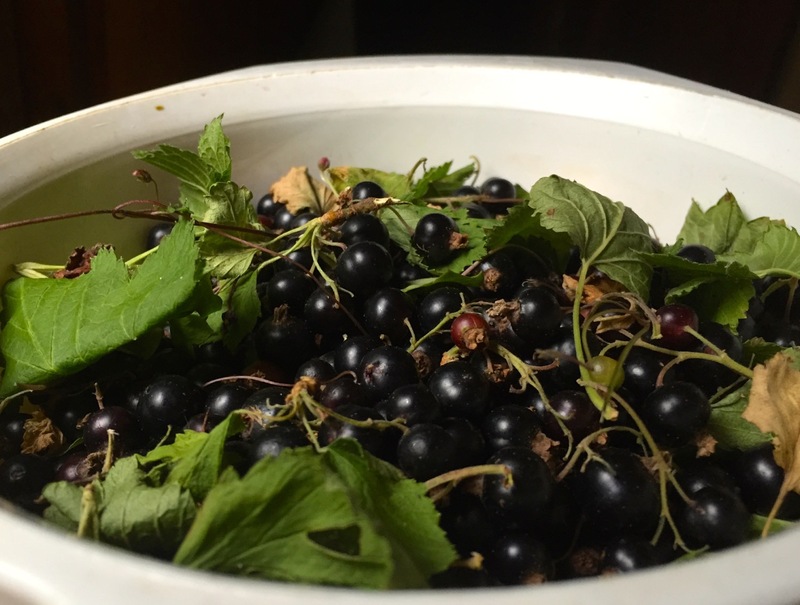 Would I make blackcurrant cordial, blackcurrant jelly or bake with the blackcurrants? 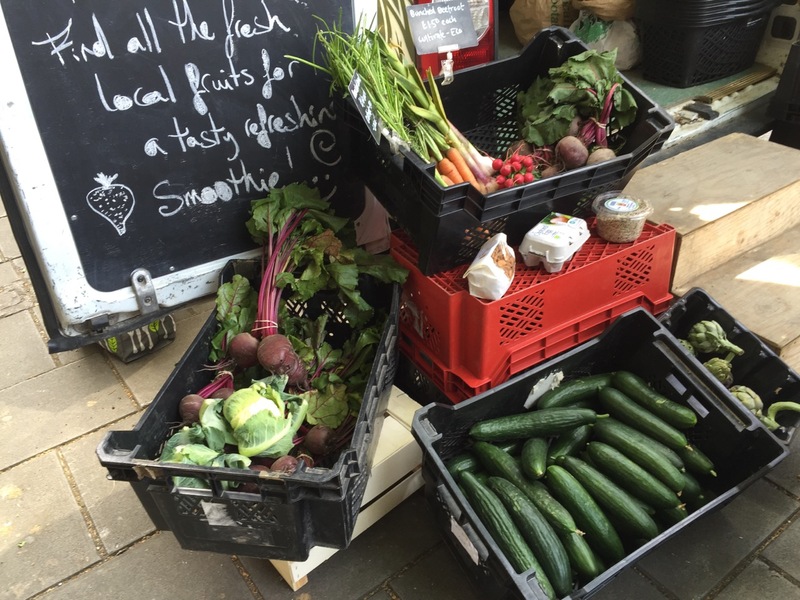 Last week I bought blackcurrants, strawberries and tayberries from the Cultivate Veg Van in Jericho in Oxford. At the time I had had fleeting thoughts that it would be nice to find berries growing along the canal. I made a blackcurrant and marscapone sauce which we spooned over the strawberries and tayberries. You’ll find the recipe here on Scarlet Bennett’s creative challenge blog. All thoughts of a productive day working were out the window. 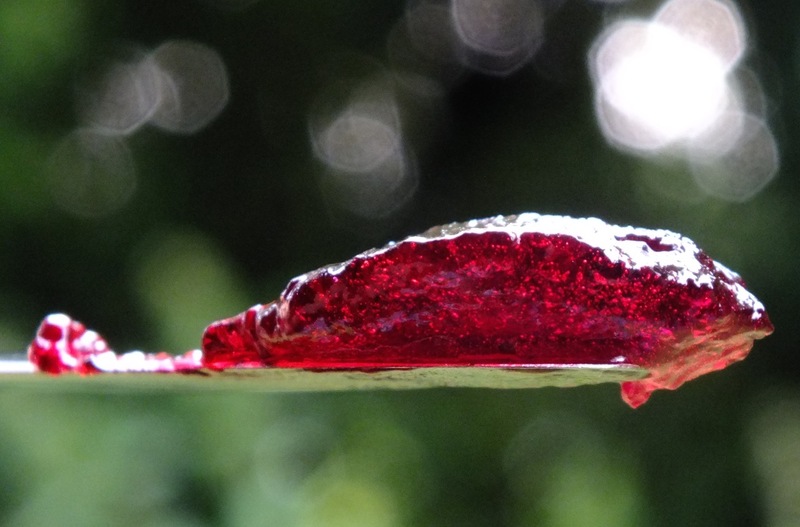 Over the next hour or two, I transformed the blackcurrants into a deep, dark and delicious jelly– and marvelled at the infinite charms of rural north Oxfordshire. As usual I made the jelly according to Hugh Fearnley Whittingstall’s always reliable recipe. Thank you, Hugh!